The Coyaba Beach Resort & Club is located five miles east of Montego Bay, Jamaica, and less than five miles from Sangster/Montego Bay International Airport. The Coyaba Beach Resort & Club boasts a private beach running the full length of the property, non-motorized watersports, a tennis court, pool, fitness center and spa tub. A full-service health spa offers massage and body treatments, facials, reflexology, paraffin hand treatments, waxing and nail care, and guests may opt for a massage in a beachfront gazebo. Children can play table games in the open-air wood hut or build sand castles in the two sand playgrounds. 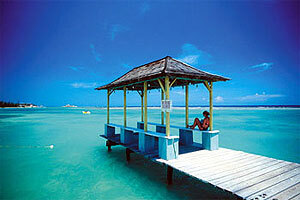 Roundtrip shuttles take guests to Montego Bay several days each week. High- speed Internet access is available in the colonial-style lobby.